Today our students were blessed to have the opportunity to listen to the Richmond Christian School Handbell Choir during lunch. This group, which consists of a former New Covenant School student, is on their way to Atlanta as part of a service trip/tour. 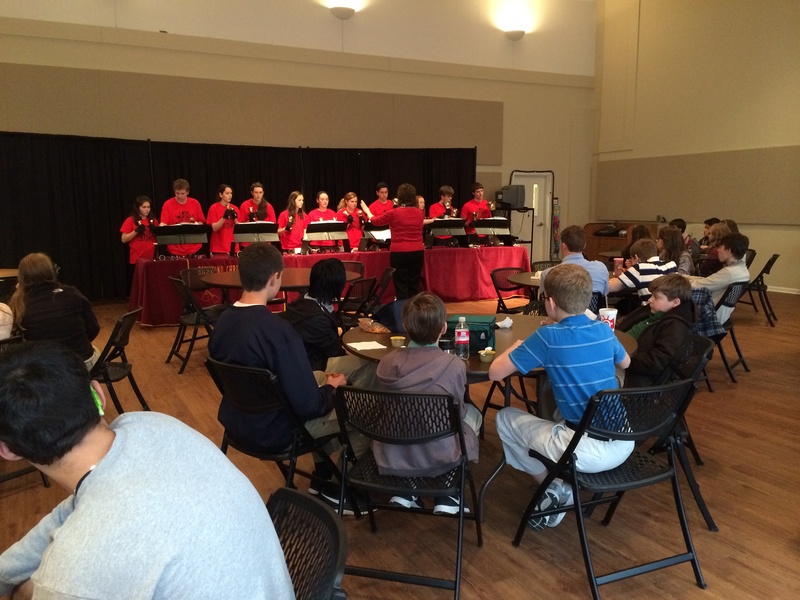 They were able to perform for us and we were blessed to provide them with lunch! To God be the glory! Previous PostApril Lunch Order FormsNext PostThrowback Thursday!